Sygnal showcased a range of new and exciting transport technologies during its first Euro Bus Expo visit at the NEC Birmingham, including the new Sygnal Portal. 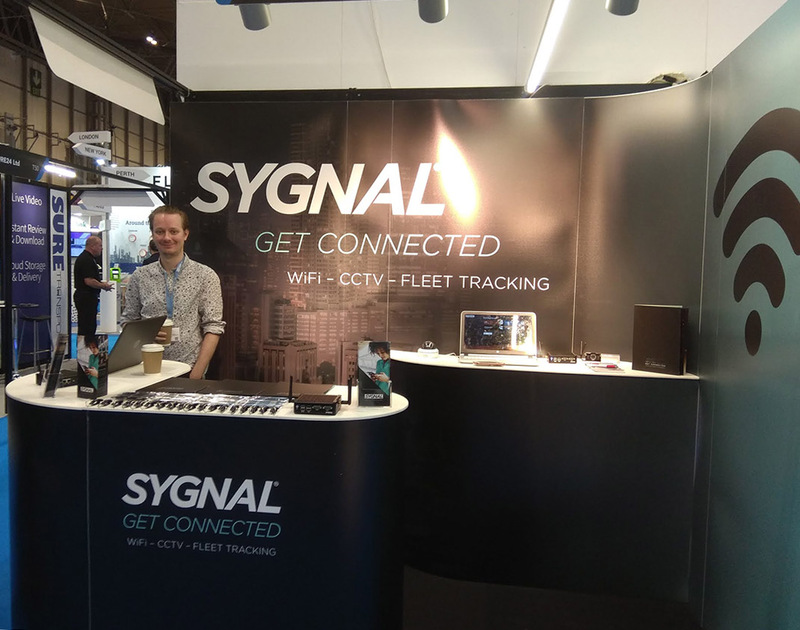 The team behind Sygnal’s 4G passenger WiFi and integrated security systems enjoyed the opportunity to discuss potential partnerships with industry leaders and explore commercial opportunities with some of the biggest names in the bus and coach sector. Among these new technologies was the new Sygnal Portal, a remote access dashboard that enables operators to track their vehicles, monitor data usage and upload custom advertisements direct to their Sygnal servers. As a leading developer of transport technologies, Sygnal was ideally positioned to demonstrate the latest industry innovations at Europe’s biggest bus and coach event. As demand for onboard connectivity grows, passenger WiFi has rapidly become an indispensable feature for bus and coach companies, particularly those typically priced out by the larger wireless internet connectivity providers. Passengers expect WiFi as standard on their coach service. Likewise, custom services aimed at increasing operational efficiency are now a fundamental feature on all transport networks. Despite launching less than a year ago, Sygnal has already established a reputation for innovative and cost-effective transport solutions. It was this approach to developing reliable, sustainable services utilising the latest technologies that enabled Sygnal to engage with a huge number of exhibitors at this years’ Euro Bus Expo. Click here to find out more about the Sygnal Portal or any of the other Sygnal transport technologies. Sygnal, the passenger WiFi and integrated security system provider for the bus and coach industry, will exhibit their new range of onboard technologies at this year’s Euro Bus Expo 2018. Taking place at the Birmingham NEC from October 30th to November 1st, the largest event for the bus and coach sector of 2018, Euro Bus Expo 2018 promises to be a highlight for everyone in the passenger transport industry. As a leading provider of cost-effective transport solutions, Sygnal is well-positioned to platform the next generation of onboard transport products. Chief among these new transport technologies is the Sygnal Portal. 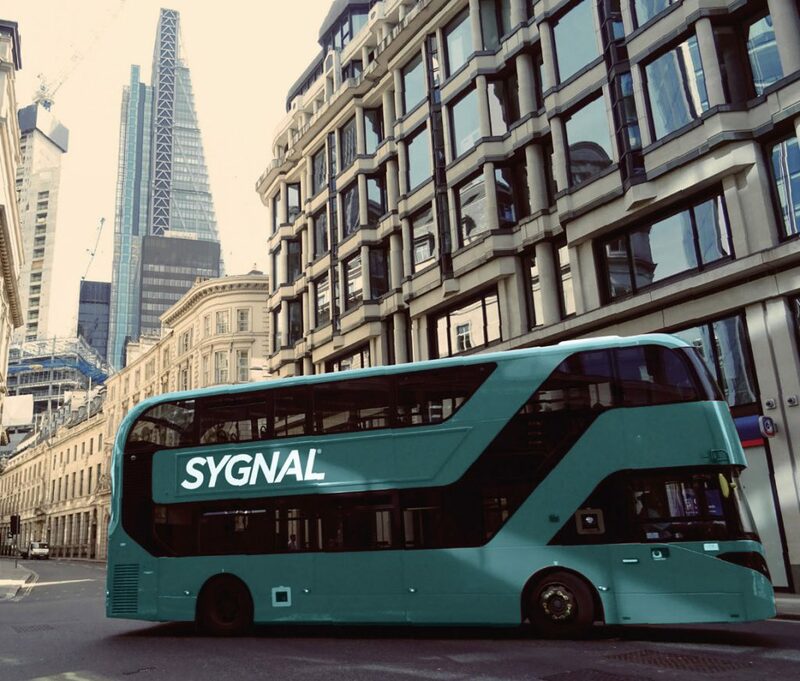 With onboard integrations for CCTV, Dash cams, entertainment, analytics and advertising, the Sygnal Portal enables bus and coach operators to manage all of their onboard technologies through one centralised system. Operators can upload content from third parties, track passenger WiFi engagement and even view saved footage from their coaches, all through one remotely-managed, simple-to-use service. 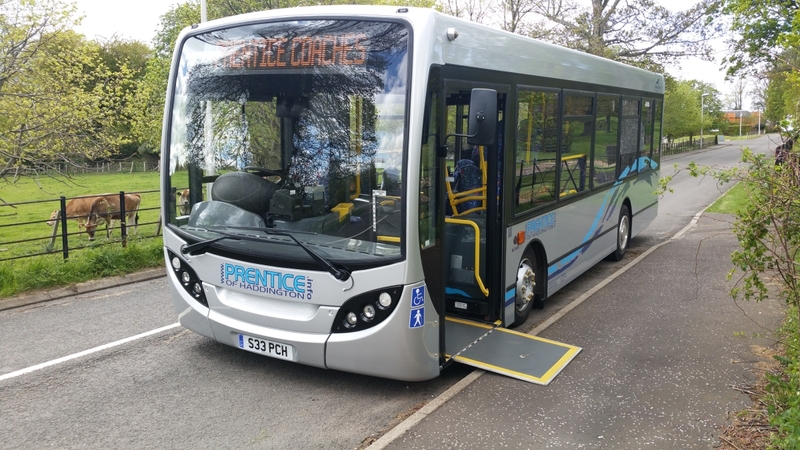 Around 300 exhibitors are expected to showcase the latest passenger transport innovations across the three days at the NEC. Taking in everything from the latest vehicles to training and services, industry insiders will have the opportunity to explore a broad spectrum of new technologies. Sygnal will be exhibiting at Euro Bus Expo 2018 at the NEC, Birmingham, at stand T38 from October 30th to November 1st.